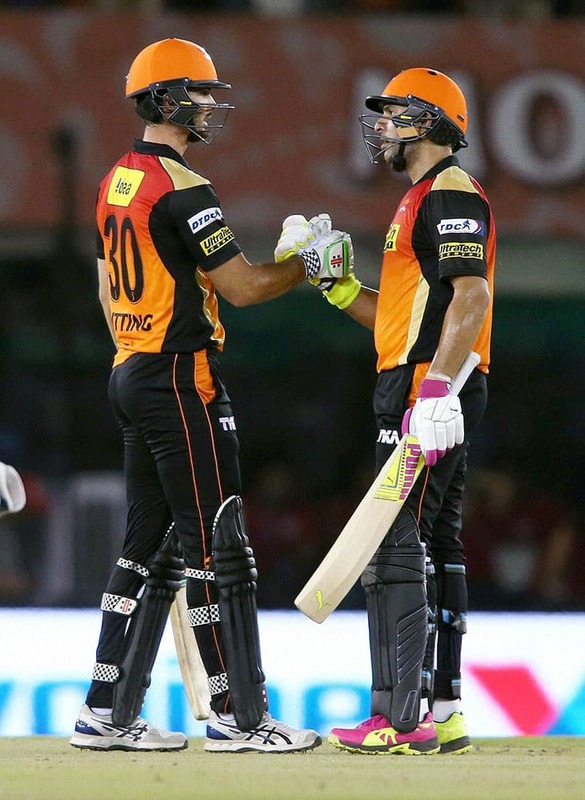 Ben Cutting of Sunrisers Hyderabad and Yuvraj Singh of Sunrisers Hyderabad celebrate as Sunrisers Hyderabad beat Kings XI Punjab by 7 wickets an IPL match in Mohali. 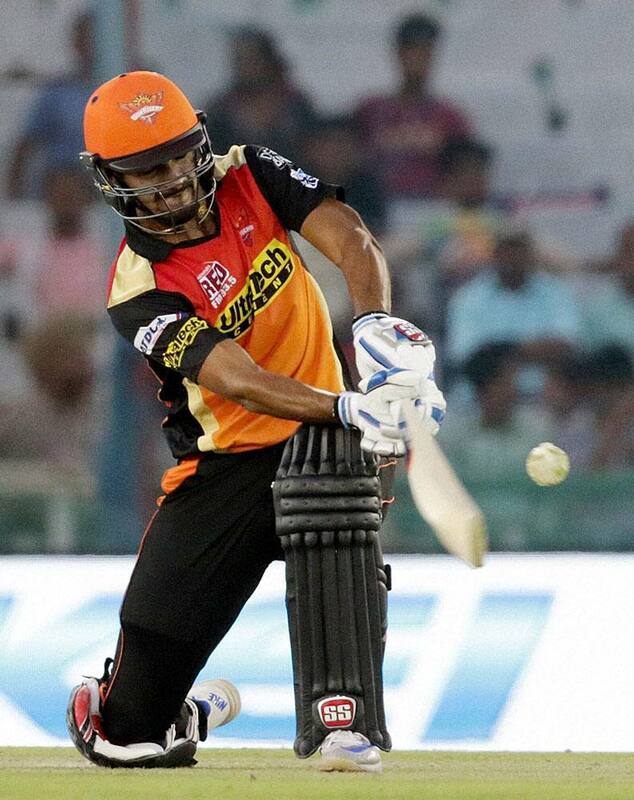 Deepak Hooda of Sunrisers Hyderabad plays a shot during an IPL 2016 matcha against Kings XI Punjab in Mohali. 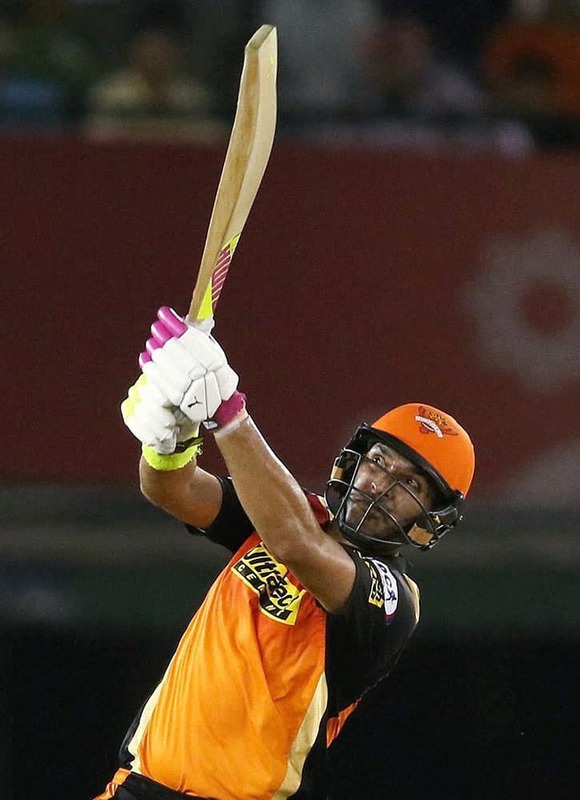 Yuvraj Singh of Sunrisers Hyderabad hits a six during IPL 2016 in Mohali. 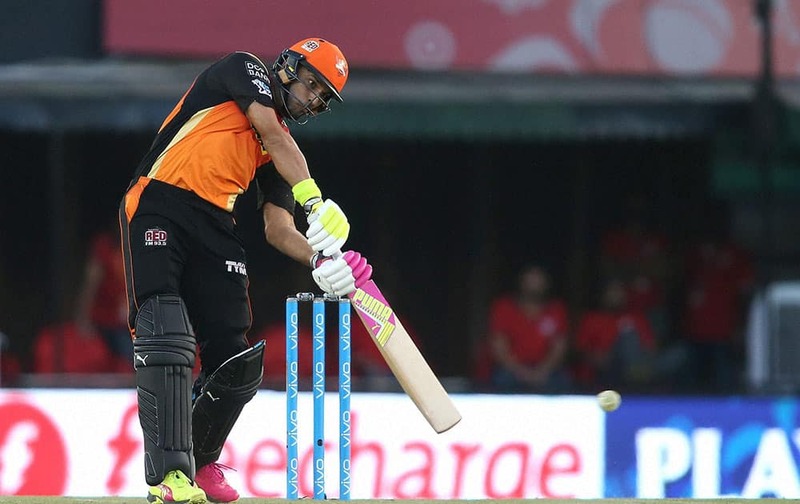 Yuvraj Singh of Sunrisers Hyderabad drives a delivery to the boundary during IPL 2016 in Mohali. 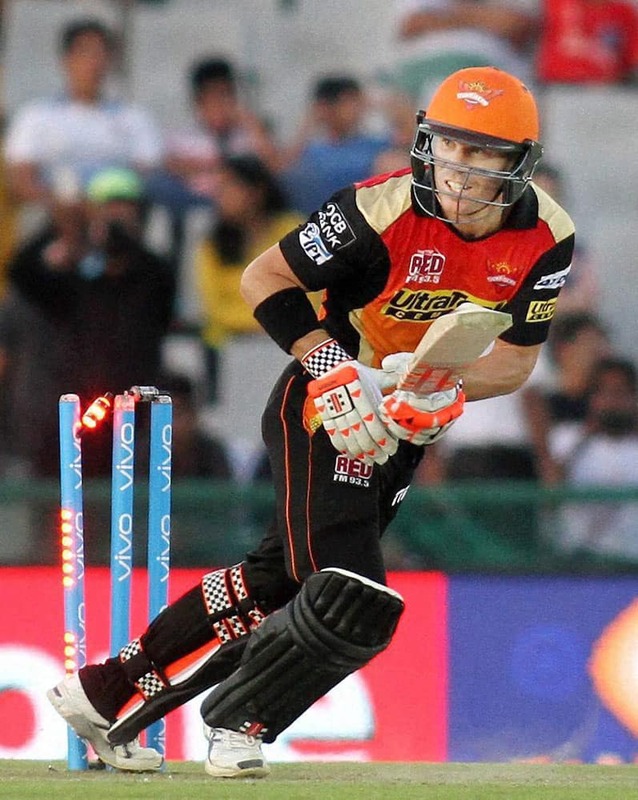 Sunrisers Hyderabad captain David Warner gets hit wicket out during the IPL match against Kings XI Punjab in Mohali. 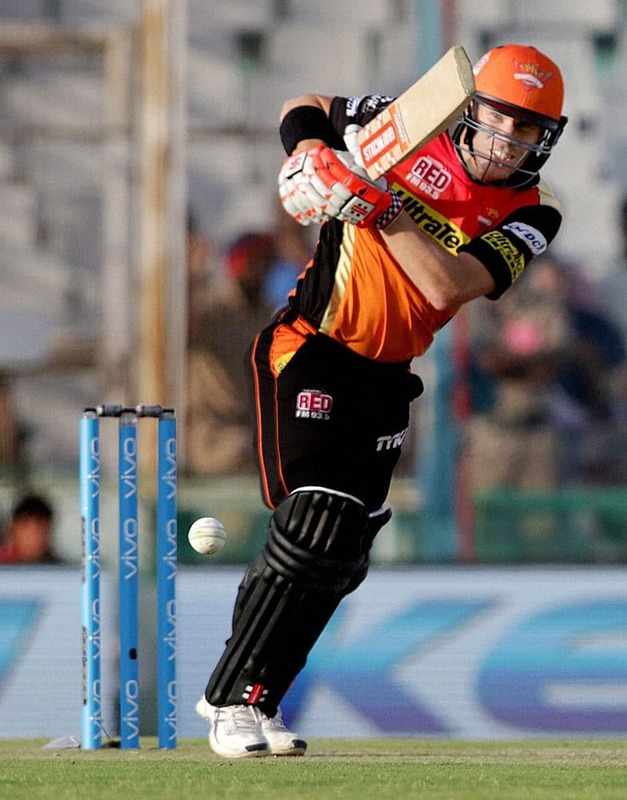 Sunrisers Hyderabad captain David Warner plays a shot during the IPL match against Kings XI Punjab in Mohali. Kings XI Punjab owner Preity Zinta with husband Gene Goodenough during the IPL match against Sunrisers Hyderabad. 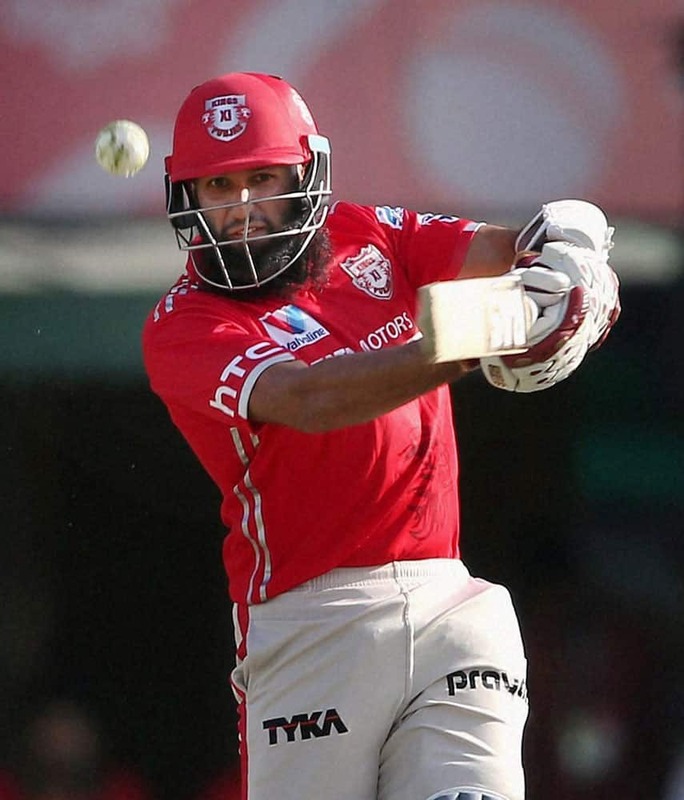 Hashim Amla of Kings XI Punjab hits over the top for a boundary during the IPL match against Sunrisers Hyderabad in Mohali.